The name says it all. 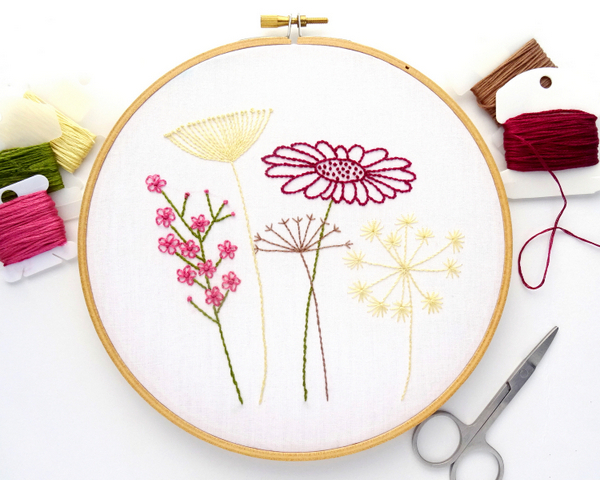 Lazy Daisy is arguably the simplest stitch for creating embroidered flowers. 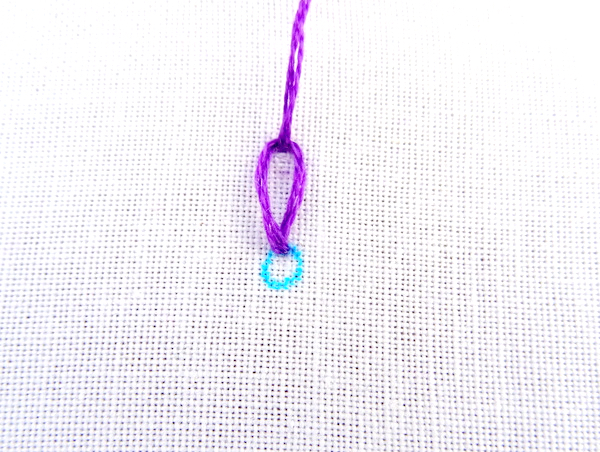 It can also be called the Detached Chain Stitch, but let’s face it, that name is not nearly as fun! 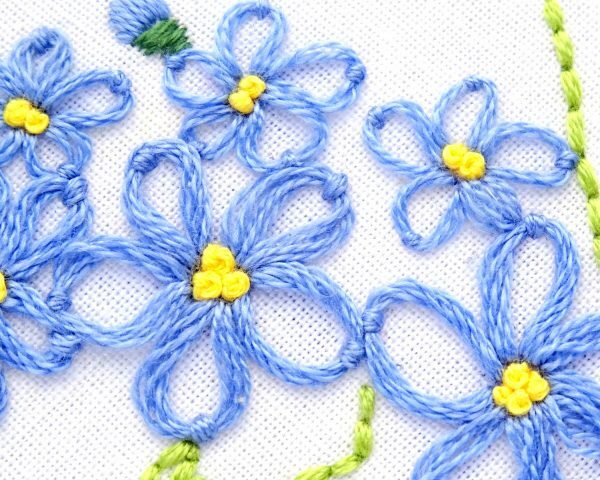 Lazy Daisy stitch is nothing more than a simple loop arranged in groups to create flowers, combined in a line to make Chain Stitch, or worked individually to create leaves. 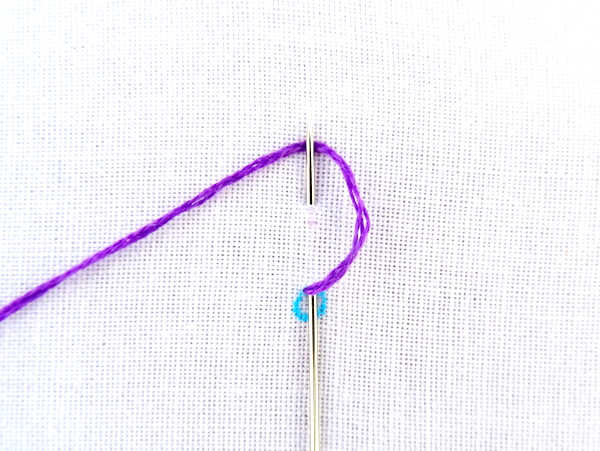 There are also a number of variations for taking this simple stitch to the next level. Let’s start this lesson by making a simple flower. You can draw the whole thing, or just a small center circle and work from there. Bring the needle and thread to the front at the edge of the center circle. Put the needle back in right next to where you came out. Without pulling it all the way through, weave it up and out of the fabric a small distance away. This will be your stitch, or petal, length. Now, take the thread and wrap it around the needle. 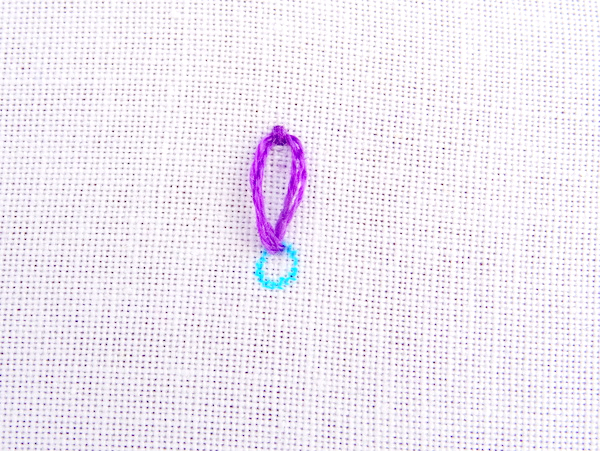 If you’ve already learned Chain Stitch, this method will be familiar. 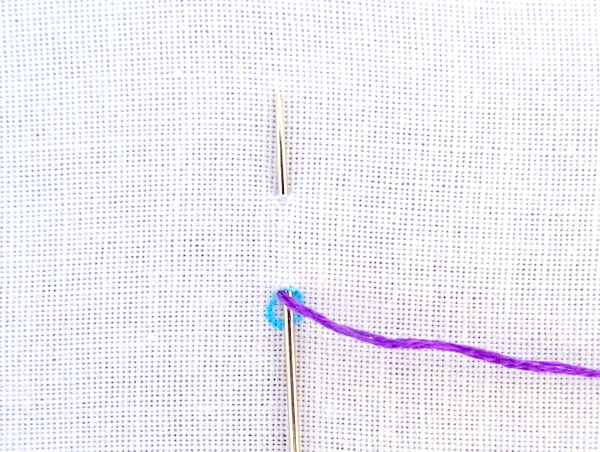 Pull the thread all the way through to create a loop. The tighter you pull, the narrower the loop will be. Anchor the loop by bringing the thread back down just on the other side of the loop. Continue working around the edge of the loop until you have a complete flower. 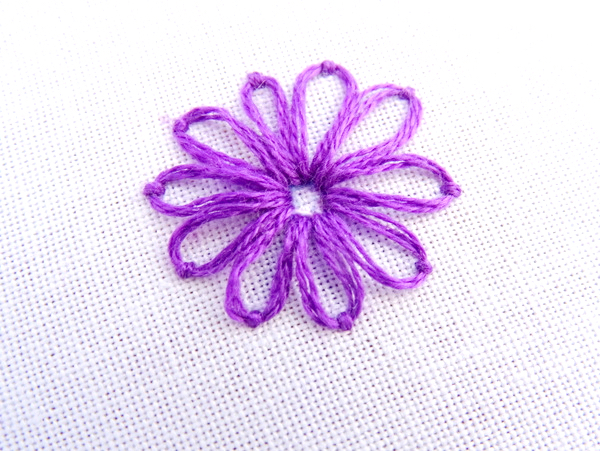 There are a number of variations on the basic Lazy Daisy stitch. For starters, you can make long thin petals with long stitches pulled tight. Or short rounded petals with short stitches left loose. 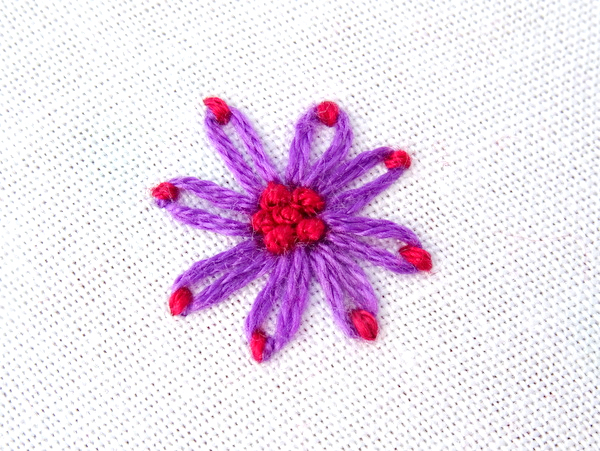 Lazy daisy can also be made with two thread colors. I find the simplest way to achieve this look is by adding a second thread color over the original anchor stitch. 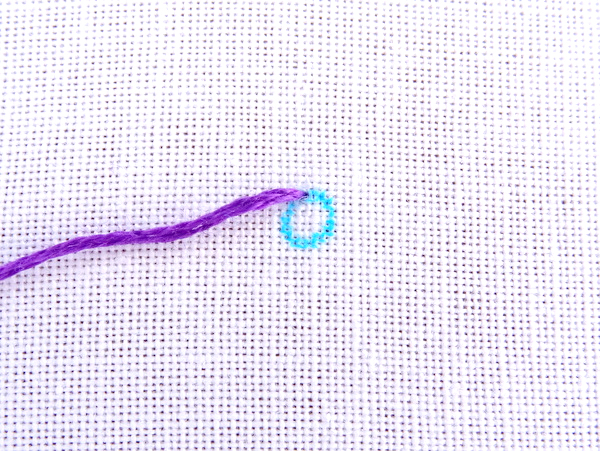 In this example, I also used the contrasting color to fill in the middle with French Knots. How about a spider web lazy daisy? 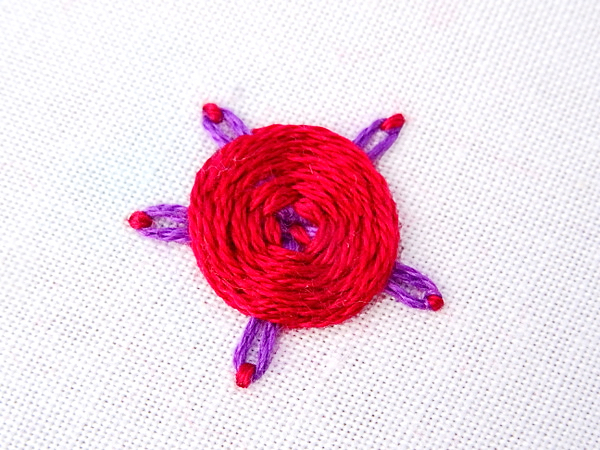 Simply follow the directions for Spider Web Stitch using a lazy daisy as the base. 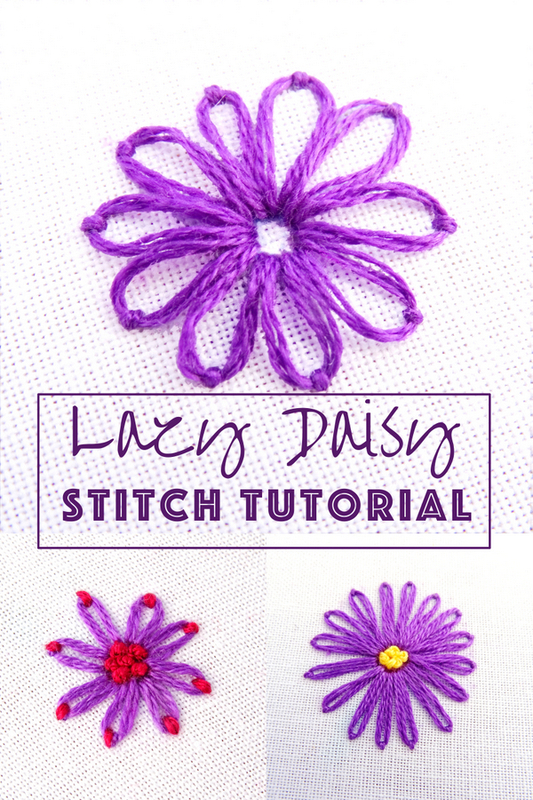 Finally, lazy daisy stitch is not limited to only flowers. 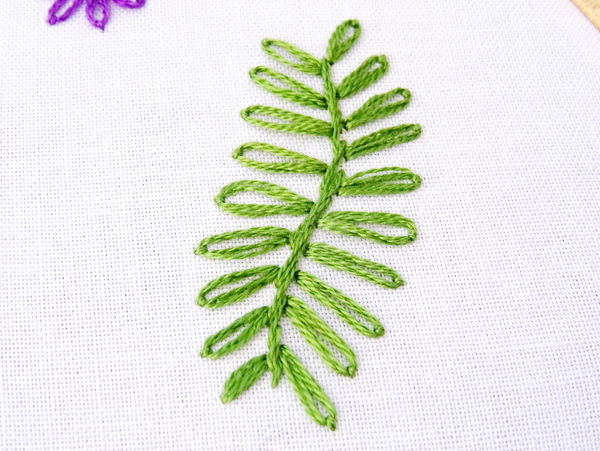 You can place the loops in a line to make leaves, in a circle to make a border, or even by themselves to create interesting embellishments. 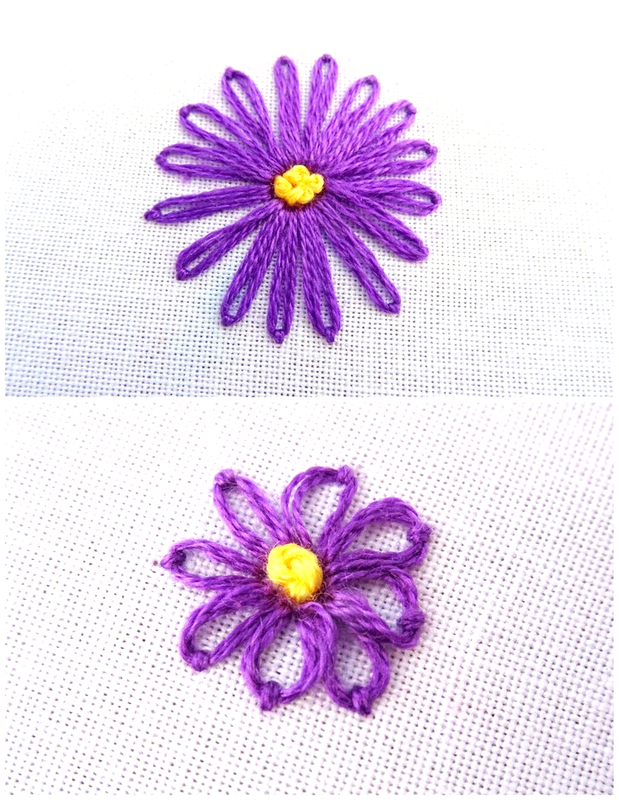 Lazy Daisy stitch is used in several Wandering Thread Embroidery Patterns. Whether it’s Forget-Me-Not flowers in the Alaska State Flower Pattern or the delicate pink blooms in the Wildflower Meadow Pattern, this is a fun and easy stitch!